Tripe is the stomach lining of an animal, it's usually sold specially prepared and cleaned for cooking and is very much an acquired taste. Depending on which animal it comes from it will have a different appearance, but the flavor is the same. 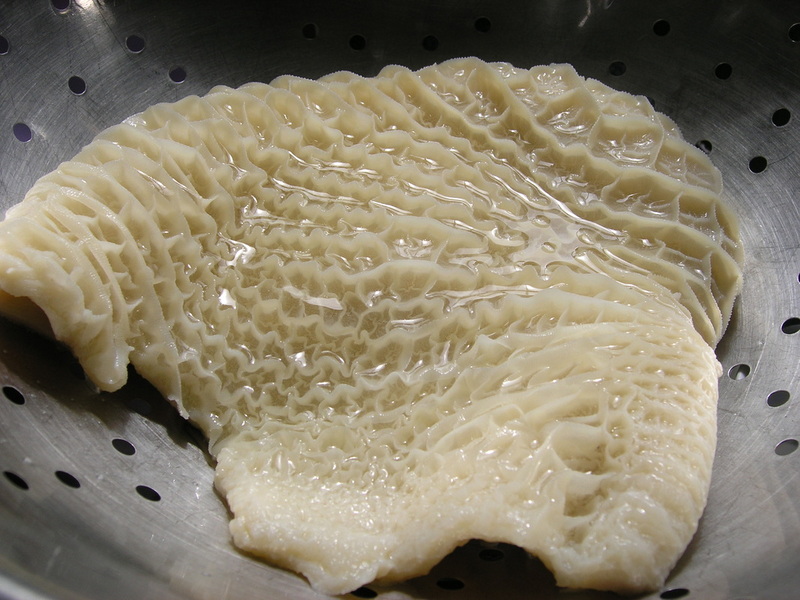 Tripe is often cleaned and blanched at the start of cooking to remove any microbes or strong aromas. This involves placing the tripe in a large pan of cold water which is slowly heated to the boil, so that the impurities rise to the surface. The lining of the stomach is usually bleached and partially cooked before being sold, but requires cooking for another two hours at least before eating. 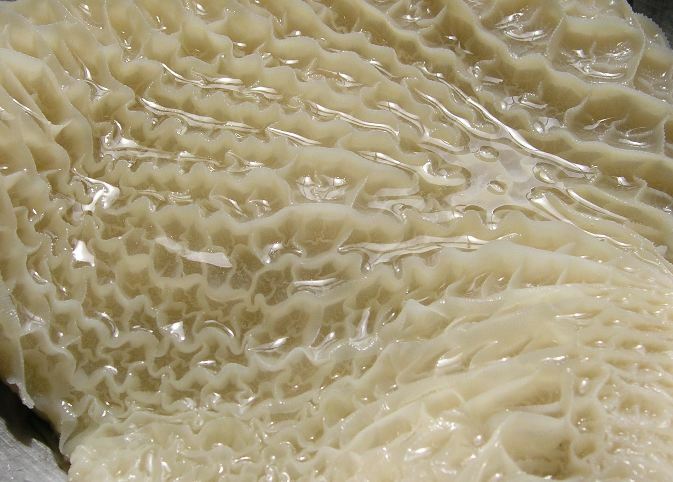 The main Ingredient in Mondongo is Tripe, the stomach of a cow, pig, sheep or ox. The origins of Mondongo, or Mondongo soup can be traced back to the African slaves in the Dominican Republic and Puerto Rico. 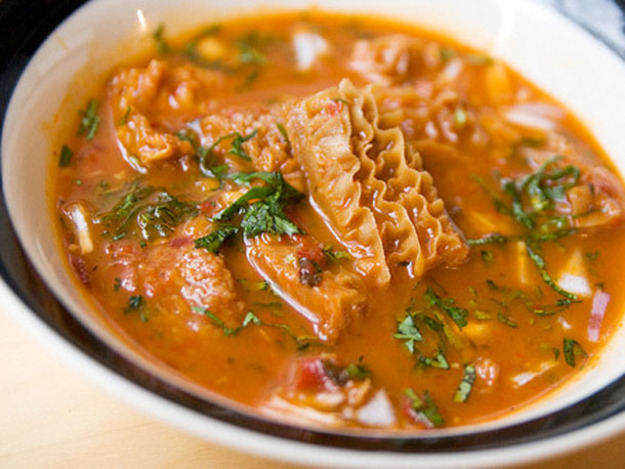 There are many variations of sopa de mondongo all over Latin America and the Caribbean. It's also called Menudo.